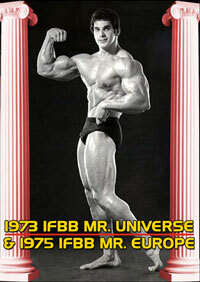 ALMOST 4 HOURS OF SUPERB MUSCLE ACTION FROM THE 21ST ARNOLD CLASSIC!! Date & Place: March 7, 2009 Veterans’ Memorial Auditorium, Columbus, Ohio, USA. 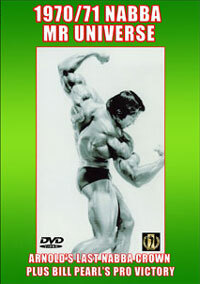 You will see the complete 2009 Arnold Classic contest for men in this 2 DVD set from Prejudging to the awards at the FINALS. 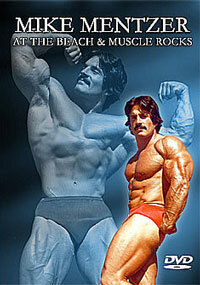 The Women's events and Arnold Strongman Classic will be on separate DVDs. DISC #1 is the complete PREJUDGING shot from all the best camera angles. Plus Extra Scenes. DISC #2 presents the complete FINALS edited from 4 different cameras. See every posing routine through to the exciting posedown and awards as KAI GREENE emerges victorious. 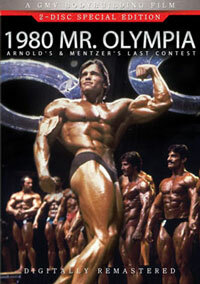 Also see the Lifetime Achievement Award to FRANCO COLUMBU, Arnold’s speech, Most Muscular Award to BRANCH WARREN and best posing routine award to KAI GREENE. The footage shot from Wayne’s central camera position in the press pit is recorded from what is generally regarded as the best seat in the house. This footage is edited and mixed with the program feed from the 3 house cameras of LIVE TECHNOLOGIES, producing the best ever coverage for an Arnold Classic DVD set. Of very special importance was the Lifetime Achievement Award to Arnold's long time friend and training buddy, Dr. FRANCO COLUMBU. Also in the main movie you see BRANCH WARREN receiving his Most Muscular Award, the award to KAI GREENE for the most entertaining posing routine plus Arnold's traditional speech. Arnold told Kai that his routine was the best posing routine he had ever witnessed. * All 13 competitors are individually selectable from the menu. Extra Features on the Finals Disc #2 are comprehensive and include the IFBB President's Opening Speech, National Anthem with the Marine Color Guard & Opera Singers, Chinese Dance Act, Presentation of the Overall Arnold Amateur Winners, Strongman Awards and the Finals photo Gallery. The DVDs include 2 separate Photo Galleries. One each from Prejudging and Finals. This 2 DVD set runs almost 4 hours. Finals MCs were Lonnie Teper and Clint Richards.